‘Islam without extremes’ – by Mustafa Akyol. A Critique. Perhaps you may think it an exaggeration, but I am quite convinced that the World will be shaped over the next several decades predominantly by how it responds to the threat from Islamist extremists. More than simply a war between those groups like Hizb or ISIS and the rest of the World, more than a war for the freedom of human beings from the oppressive structures imposed by supremacists, this is a civil war within Islam for its future. Whether Islam comes out of that war as a religion for the individual; an inner, spiritual system of guidance, or whether it is to be defined as a political structure that extends beyond the individual and chains others to dictates, can only be decided by Muslims. Attempts within the Islamic community to provide counter-narratives to extreme illiberal Islamist dogmas are vital. We do see this through the important work of think tanks like ‘Quilliam‘, or groups like ‘British Muslims for Secular Democracy‘. Writers can also have a lasting affect on how the war for Islam is shaped. 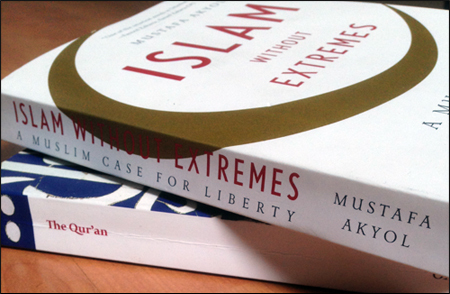 I recently finished reading ‘Islam without extremes’ by Mustafa Akyol. I thought I’d share my thoughts on the book here. – This seems to me to be a way to have it both ways. The very basis of Islamic belief, is that the Qur’an is the final message from God. It is the book of rules for all time. There will be no other message. It comes from a being that transcends time. He is able to give a new message, in more enlightened times if he wished, that ensures equal inheritance regardless of gender. But that isn’t the fundamental idea of Islam; that the Qur’an is the final message. ‘Rights’ are defined for eternity. And yet, more often than not, Muslims invoke the ‘context of the time’ excuse for illiberal Quranic rules. Akyol does that here. Whether the share of inheritance is nothing, or whether it is half that which men are to gain, it is illiberal. An improvement is irrelevant if it is to end at that improvement, and not be permitted further improvement toward equal treatment. In this case, the Quranic rule on inheritance is an institutional patriarchal structure, and worse than that, it is to be instituted for all time. Any further improvement would be an admission that the Islamic God was constrained by the time period, or that He was simply wrong. The ‘context’ excuse seems to me to be an attempt to placate in the mind of the believer, the suspicion that the Qur’an may not be all that liberal after all. A recognition that the individual believer has morally outgrown his/her God. “The dhimma system was just one of the many implications of a basic idea that the Qur’an introduced: Humans have rights ordained by God, and no other human can violate those rights. This idea would allow Muslims to create a civilisation based on the rule of law”. – I find these sentences to be self defeating. My rights have already been violated by other human beings, the moment those human beings decide for themselves that my life is to be chained to their faith and that the ‘rule of law’ is to be based on that one faith. Law is subsequently based less on evidence, if it contradicts the dogmatic beliefs of the privileged religion (more often than not, the privileged religion tends to be very patriarchal and very heterosexual, and so – surprisingly – heterosexual men seem to benefit the most from upholding that system). Institutional privilege for one faith is not a good example of the ‘case for liberty’. Quite the opposite. It insists that anchoring moral standards to one place and one time, is an excellent base for law, and that all must abide by it, whether Muslim or not, whilst those who aren’t Muslim must pay a tax to uphold this system. In an attempt to promote Muhammad as a friend of Jews and Christians, Akyol tells us – on page 60-61 – that the Prophet spared the frescoes of Jesus and Mary when he stormed the Ka’ba, and that the Qur’an granted the right of Christians and Jews to live and practice their faith… under the rule of Islam. You will perhaps note several problems with trying to argue the case for liberty within a faith whose leader destroys the Gods of other faiths, saving only those that are depicted in the Qur’an, and then has the nerve to “grant the right” for others to live according to their own conscience… under the rule of Islam. This is not liberty. A man fighting for any concept of liberty would not have destroyed the Gods of others, nor have believed himself divinely ordained to decide upon the rights and the lives of others. I may dislike the Christian & Islamic God, I don’t then destroy Churches and Mosques. We rightly prosecute those who do. – The word ‘start’ should be replaced with the word ‘end’, because again, the Qur’an is the final message. She is right that Muhammad could not produce a full blown liberal, secular, democratic society protecting the civil liberties of all, at that moment and place in time. We as atheists must accept that he was just a man – impressive at times, flawed and disastrous at others – but believers who attempt to promote Islam as a faith that enshrines liberty – as Akyol attempted to do – have the uneasy burden of accepting that their God transcends time, and so the rules He sets out, and the man whom he chooses to empower with that message, must be the perfect form of liberty, and must not be rules that others over the centuries will try to mimic, causing misery across the globe. This is the problem of foresight – a subject I wrote on here – shared by the God of all the Abrahamic traditions. Indeed, those rules – if they are to extend beyond the individual in any way – must protect and empower men and women, muslims and atheists, homosexuals and heterosexuals, of all ethnicities, without prominence or privilege to any sect of any faith, otherwise it is simply a book of oppression and no amount of redefinition can fix that. And whilst Mustafa Akyol’s book certainly provides a narrative that takes the more extreme elements of recent years away from the faith, it fails to produce a narrative that its title – ‘A Muslim case for liberty‘ – suggests, and fails to tear Islam away from political ideology by entertaining the notion that it is perfectly reasonable for Muslims to define the rights of non-Muslims. The conclusion I came to after reading Akyol’s book – and getting past the predictable religious tendency to blame everyone else except religious dogma for its deficiencies – was that Islam is by its nature illiberal, it is just a little less illiberal than the extremists believe, and was a little more liberating than previous Theocracies centuries ago. A leap forward once upon a time perhaps, but thoroughly archaic today. This entry was posted on Sunday, October 12th, 2014 at 1:37 pm and is filed under Atheism, politics, Secularism. You can follow any responses to this entry through the RSS 2.0 feed. You can leave a response, or trackback from your own site. 7 Responses to ‘Islam without extremes’ – by Mustafa Akyol. A Critique. READ: Critique of Islam by Obadiah at Kamuh.com. He is enlightened. Khadija, Mohamed’s first inherited her husband’s properties and managed them. The former hired the latter.She also led in prayer which she later was admonished not to do.This demonisation of pre-Islamic Arabia like that of pre-Christian religions as the heathen, the jahilya, the uncivilized, the savage which led to destruction of alternative belief systems and structures reached it’s zenith under Islam and the subsequent Arab Muslim imperialism in Africa and Asia. Have read Skeptics Annotated Koran and if so, what do you make of it? A very interesting article. Thank you. One aspect that I sometimes try to put to Muslims is that Jesus – who they say they respect – once reportedly said “Render unto God what is God’s and render unto Caesar what is Caesar’s.” The Muslim community have a similar rule, i.e. that Muslims living in a secular society should obey secular laws. Indeed, this point could be further argued that Allah (if it exists – I don’t believe it does) could have been said to have laid down the initial Muslim laws but that they were only ever provisional. Secular authorities, it could be argued, are Allah’s mode for updating the Muslim laws. Therefore, the hadith tradion and alleged comments or behaviours of the prophet Mohamed have become superseded by secular laws as Allah could – if it wished – stop and over-ride them with ease if it wanted to. Therefore, all Muslims should obey all secular laws as they are the laws that Allah not only permits but uses to achieve its purposes. 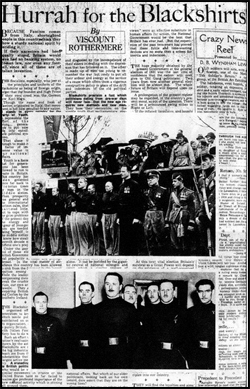 My Dear Fuhrer: A Quick History of Daily Mail Fascism. The Poison of the Watchtower. The Rise of the Regressives. The immoral teachings of Christ. The Curious Case of Mehdi Hasan. The Myth of the Unchanged Qur'an & Muhammad as a role model. U.S. House Judiciary Committee Chairman Jerry Nadler on Monday subpoenaed former White House counsel Don McGahn to testify before the panel in its investigation of possible obstruction of justice by President Donald Trump.